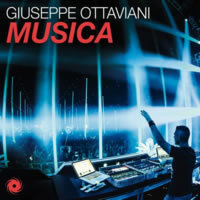 Giuseppe Ottaviani (a difficult name to type if you're not Italian) has had a decent trance career so far, from his humble beginning as part of the duo Nu NRG to countless remixes and well-lauded productions under his own name after he parted ways with his creative partner in 2005. Among his many releases is "Musica", a track from 2016 offered completely separately from his album of the same year. Musica, as released in its original form, only came in one mix, a seven-minute belter centred around one short and sweet piano hook. But the track begins with a typical trance buildup before his rolling aggressive bassline slaps you in the face like a leaping trout. Plucking leads us slowly but surely into the main grab of Musica, a mere few chords but enough to grab attention. Before long, the big synth comes into full effect, giving the track its full power while still maintaining the same melody. Boasting a reverb giving the effect of being a great fit for a giant auditorium, Musica was meant to be blasted at full volume to a large audience. The melody is short but pleasant, but it's the destructive bass that gives Musica that extra kick now and then. Though not a complicated composition by any stretch, there's enough harmony to make this one a good spin in any modern trance playlist.